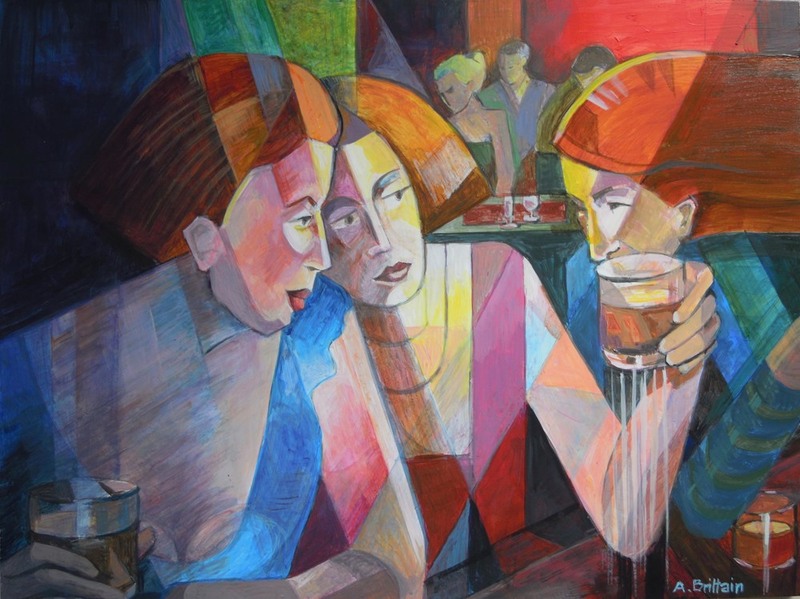 It is our pleasure to show five new paintings by Angela Brittain. A recent trip to Colombia has provided her with some wonderful research and inspiration to create her latest work. Her work is concerned with relationships between people experiencing one situation yet their emotions or aims are different. With her distinctive style she tells thought provoking, identifiable stories of familiar situations, varying from humorous to more serious.